Saline County Board Chairman Jay Williams confirmed Monday that Saline County Sheriff Keith Brown resigned. “We’ll meet Tuesday to appoint his successor,” Williams said. 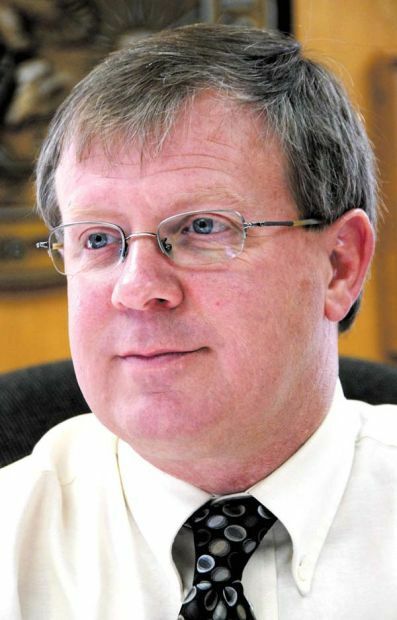 Saline County Board had called a meeting at 5 p.m. Tuesday to appoint Brown’s successor. As of Monday, Williams expected to have a quorum at the meeting. Brown was elected in 2006, replacing retiring Sheriff Ed Miller. He started his more than 30-year career in law enforcement as a jailer in Saline County, before taking a job with Illinois State Police. He did not seek re-election in the primary earlier this year. J. “Whipper” Johnson is the Republican candidate for sheriff. Ken Clore is the Democratic candidate. Too bad the sheriff and state's attorney of Saline county didn't investigate the campaign money that former state Rep. Brandon Phelps took from the Intl. Union of Operating Engineers local 150 in Countryside. When Phelps was joined at the hip with NRA lobbyist Todd Vandermyde during the passage of their garbage concealed carry bill in 2011-2013, Vandermyde had just left his job as lobbyist with the Intl. Union of Operating Engineers local 150, after his boss president William Dugan was convicted by U.S. Attorney Patrick Fitzgerald in 2010. Great resume for the rat that placed Duty to Inform in Phelps' "NRA backed" concealed carry bill. Maybe someone will investigate how all that Chicago union money flowed from the made men in Countryside into Phelps' pockets in Harrisburg. Donald Todd Vandermyde looks like a conduit for union money as well as the traitor who sold out Otis McDonald.